It the world of prognosticating, last weekend was not kind to college football’s omnipotent one as the Zultan of College Football proved that even the best can have a bad week. The Minnesota Gophers, a thorn in the side of the Zultan all season, gave one final zing with a shocking win over the beloved Iowa Hawkeyes. Couples with the upset of Boise State by Nevada, the late comeback win by Auburn over Alabama and losses by Penn State, Purdue and Oklahoma State the result was a disappointing 4-6 week for the great one. Yet, even when the Zultan was at a low point, his record was still equal or better than many of those who thought they would out-shine his talents. Yes, there were 13 lucky soles listed below who posted a better week than the Zultan, but there were many who fared worse. It gives the all-knowing one at least a little glimmer of joy and hope as we look toward the upcoming bowls. Even though the crystal ball showed a big crack late in the season, there is still plenty of time for the Zultan to repair his reputation with a strong showing in the second annual Sports Then and Now College Football Bowl Challenge. Be sure to check back beginning on December 8th for the list of games and opportunity to win. Speaking of winning, many have spent the entire fall trying every week to best the Zultan with the goal of posting enough weeks with a better record to earn the end of the season prize. It was an exciting contest that came right down to the wire and ended just as the Big Ten has with a three-way tie. 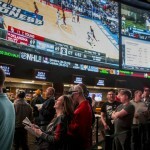 However, unlike the Big Ten that needs a computer to tell it which team will be considered its champion, the Champion of the Sports Then and Now College Football Contest was the competitor who shined the greatest in the weeks in which he defeated the Zultan. For much of the season, Phillip Murphy (from Muscatine, Iowa) and Ryan Sparrow (Channahon, Illinois) were in a neck-and-neck battle for the top spot. However, like the great horse Zenyatta, seemingly out of nowhere Kenneth Zuerner (from Iowa City, IA) came from the back of the pack with four straight late season victories to tie the duo with seven victories over the Zultan. However, also like Zenyatta, Kenneth’s charge fell just short as his record during his winning weeks of 54-20 proved to be slightly behind the other contenders. Ryan Sparrow had three weeks of 9-1 records during the season, but his 58-16 overall mark during his seven wins was not quite enough. Phillip Murphy started the season with a 13-1 mark in week one and matched that number in week three. He proved strong all year and went 9-1 in week 12. His record in his seven winning weeks was an impressive 67-13. For his great work, Phillip will win a $100 gift certificate and be forever recognized as the 2010 Regular Season Champion of the Sports Then and Now College Football Challenge. But you didn’t have to win every week to be eligible to win great prizes. 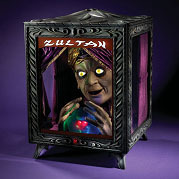 Everyone who beat the Zultan at least one time was included in a drawing for two $50 gift certificates. The winners of those prizes are: Dave Krueger from Omaha, Nebraska and Ken Ripp from Eau Claire, Wisconsin. It has been a fun college football regular season, but the best is yet to come. With some time to rest and lick wounds, you can guarantee that the Zultan will be back and better than ever for the Bowl Challenge. So be sure and spend this weekend reviewing all the bowl matchups and come back next week ready to give the Zultan your best shot.